Product #6797 | SKU PRG-370 | 0.0 (no ratings yet) Thanks for your rating! Hosa PRG-370 1/4'' Connector. 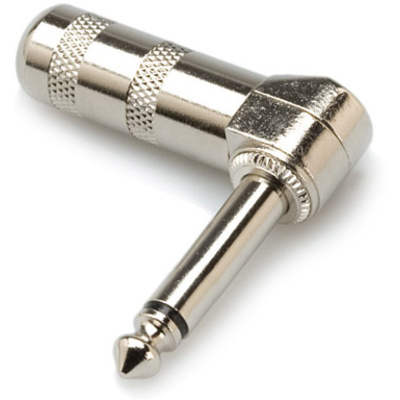 This connector is designed to terminate coaxial cable for unbalanced mono applications. It is ideal for instrument cable and speaker wire. The angled shell allows cables to hang straight down with gravity, thereby maintaining the integrity of the conductors and shielding materials.